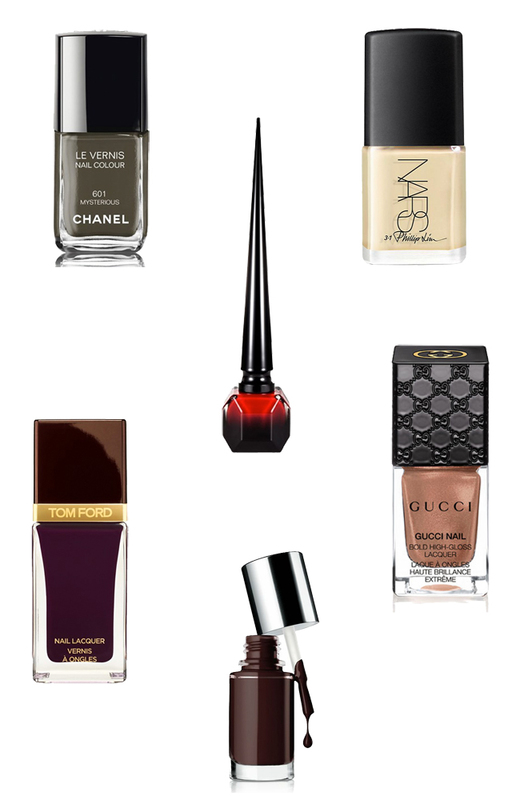 It's time to break out the dark nail polish! There are so many good new colors that I'm dying to try out....ummm hello, Rouge Louboutin by Christian Louboutin?!? In addition to what I've featured below, the new collaboration with Nars + 3.1 Phillip Lim is on my radar, as is the new fall color for Tom Ford 'Black Cherry'. So much goodness! Love all of these - I'm loving the burgundy colors - just picked on up actually!! Also that Chanel color in mysterious is gorgeous! !